Original owner! 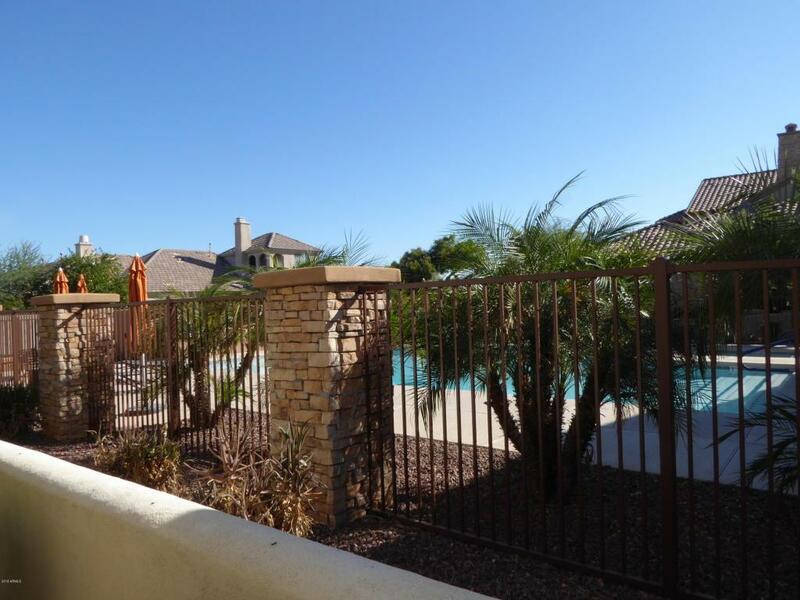 Great location in Litchfield Park with easy access to The Villages community pool/spa. 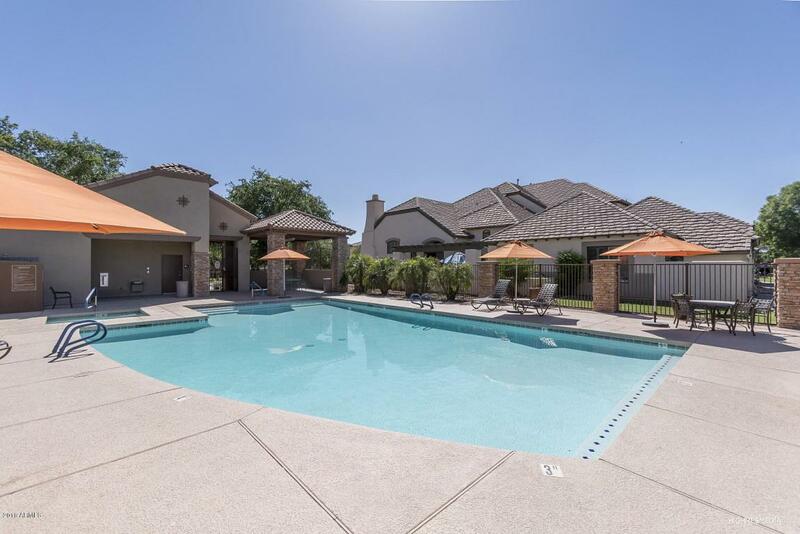 Three patios, including a large patio off of the kitchen/dining area with fabulous/open view of the community pool/spa. Great for grilling and relaxing outside year round. 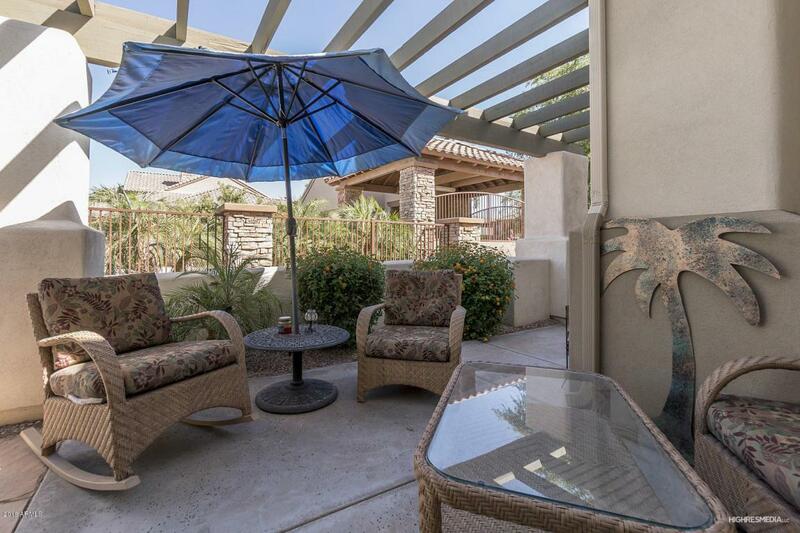 This bright, open one story townhome features dramatic ceilings and split floor plan. Large master bedroom and bath with double sinks, garden tub with separate walk in shower and a huge walk in closet. 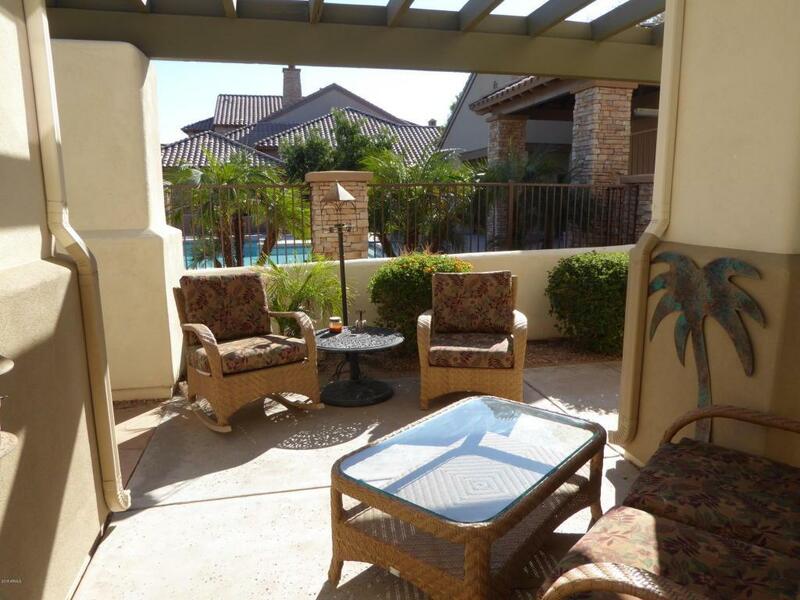 3rd bedroom has a separate entrance and patio, perfect for a den,office or exercise room. Guest bath also has double sinks and tub/shower. Gourmet kitchen features double wall ovens, glass top stove, side by side refrigerator, RO water and large breakfast counter.Loads of beautiful wood cabinets,granite style counters and a large pantry. Living room features a gas fireplace and surround a sound system. Wood shutters throughout. Wired for security system. Oversized garage with water softener and hot water heater installed in 2016.